are furnished.Updates on 31 August,1 September and 2 September are covered. 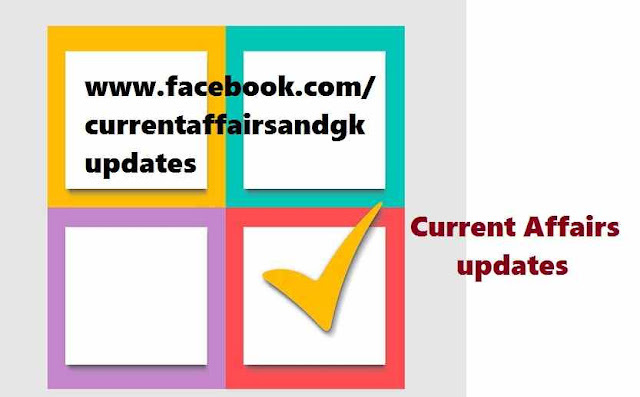 These updates are useful for upcoming recruitment examinations like SSC (Staff Selection Commission),RRB (Railway Recruitment Board),RBI Recruitment,SBI Recruitment tests, IBPS, Insurance,Postal,Groups and other state level recruitment tests. 1.Wrestler Anil won Gold Medal in the 50kg free style category at the World Cadet Wrestling Championship held at Sarajevo (Bosnia). 2.India finished World Cadet Wrestling Championships with Three Medals. a.Monu won Bronze Medal in the 46kg freestyle category. b.Anil won Gold Medal in the 50Kg freestyle category. c.Ankush won Silver Medal in 38Kg women's freestyle category. 3.Dr.Satya Murthy is going to be the next Director of the Indira Gandhi Centre for Atomic Research (IGCAR) and Director of General Services Organization (GSO) of the nuclear complex located at Kalpakkam. 4.PESB (Public Enterprise Selection Board) selected P K Singh as the Chairman of Domestic Steel giant Steel Authority of India Limited (SAIL).P K Singh was the CEO of Durgapur Steel Plant previously. 5.Government designated Ratan P Watal as new Finance Secretary to begin the work on the budget for 2016-2017. 6.An Indian-Origin Sikh driver,Tejinder Pal Singh in Australia has been named "Australian of the Day" for feeding the homeless in northern Darwin for the past three years. 7.Whistleblower bureaucrat Sanjiv Chaturvedi along with founder of NGO Goonj Anshu Gupta was conferred with Magsaysay Award for 2015. 8.Indian Cricket Team registered it's first test series win in Srilanka in over 22 years by defeating Srilankan Team by 117 runs. 9.The BCCI and Cricket South Africa (CSA) announced that they title all future bilateral series between the two countries -"The Mahatma Gandhi-Nelson Mandela Series"